When you take out a car insurance policy, you provide the insurance company with an awful lot of information such as your age, driving experience, make and model of car to be insured, where the car is to be kept overnight and how many miles you estimate you will drive in a year. The insurer uses this information to assess the risk that you present to them of possibly claiming on your insurance policy in the future as a result of being involved in a road traffic accident or having your vehicle stolen. Therefore, it is important that you provide accurate information as, if you do not and this came to light when making a claim, your claim may be declined and your cover cancelled. So, let’s have a look at a few of the other things that could result in your motor insurance policy being invalidated. Changing occupation – if you were previously an accountant but have given up that profession to become say a chef then you need to let the insurance company know as such a change may affect how much they charge you for providing the cover. This is because, statistically, people in certain jobs are, on average, more likely to make a claim on their car insurance policy. Use of car – If you change from using the car for social, domestic, pleasure and commuting to one place of work to social, domestic, pleasure and commuting to more than one place of work then you need to inform the insurance company as the later purpose of driving would mean that you need to be insured for a different class of insurance that is usually more expensive. Moving address – if you move home from one postcode area to another then this may result in your premium either staying the same, falling or going up. 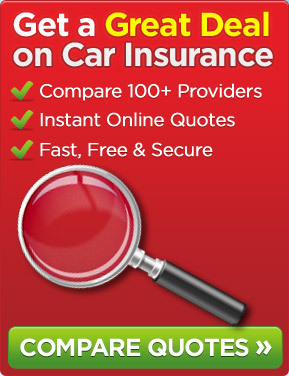 If the location that you have moved to is known for more car thefts then it is quite possible that the insurance company will increase the premium you pay. So, you need to let your insurer know your new address. Car modifications – if you decide to alter the bodywork of the car such as adding a rear spoiler then you need to let the insurance company know as this may result in your premium going up as such a modification could mean that your car is more likely to attract the attention of a car thief or it could affect the handling or speed of the vehicle. Incorrect mileage – if you advice the insurer that you only drive around 5,000 miles per annum when in fact you actually do 30,000 miles per annum then you may invalidate your policy. If you think about it, a motorist driving the later number of miles is more likely to be involved in a road traffic accident than if that same motorist only drove 5,000 miles per annum. We trust that the above gives some motorists food for thought. This entry was posted in News and tagged car insurance, Invalidating Car Insurance, Motor Insurance. Bookmark the permalink.